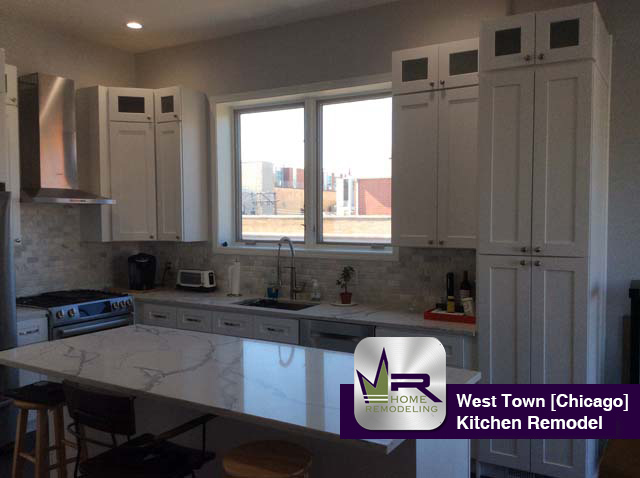 West Town is one of the 77 officially designated neighborhoods of Chicago located northwest of the Loop. 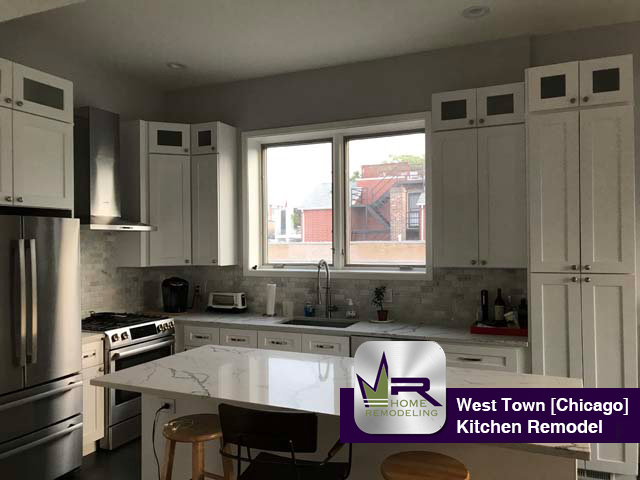 Within West Town are smaller communities such as Pulaski Park, Wicker Park, Ukrainian Village, East Village, River West, Noble Square, East Humboldt Park, and Smith Park. West Town is a great place to live for commuters as it is served by the CTA Blue line which has direct access to the Loop and even O’hare International Airport. 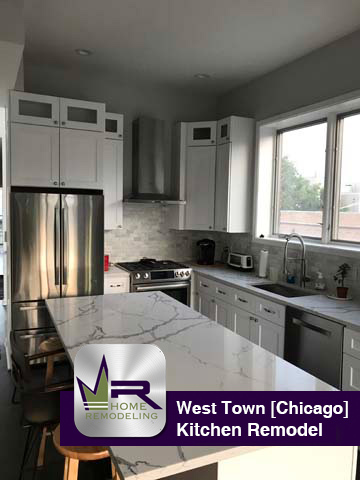 With a very young and unique energy, people find themselves strolling the streets of West Town to admire the historic buildings and to see what the local shops and restaurants have to offer. 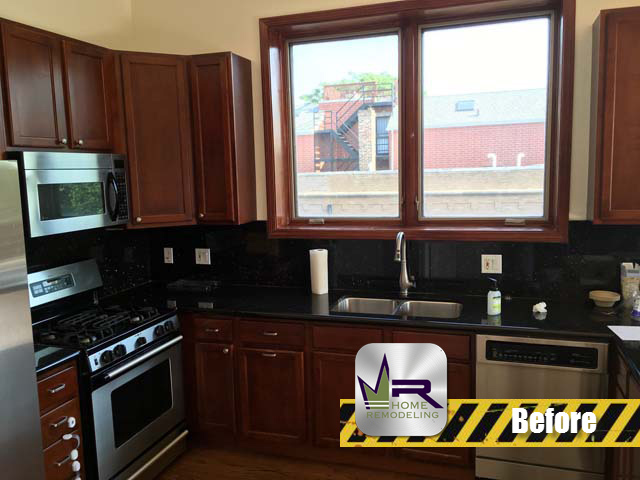 The owner of this West Town (Chicago) property was interested in revamping their kitchen. 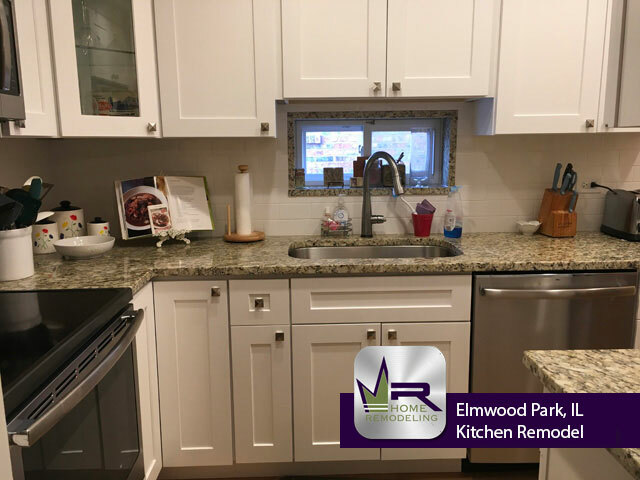 While the openness was a huge plus to the existing kitchen, the limited amount of countertop space was becoming a hassle. 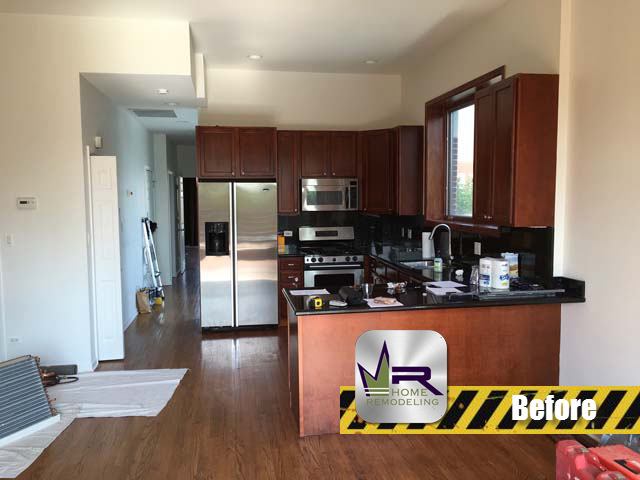 The homeowner wanted the kitchen to be transformed into something that would be more efficient for everyday use as well as something that looked more sleek and elegant. 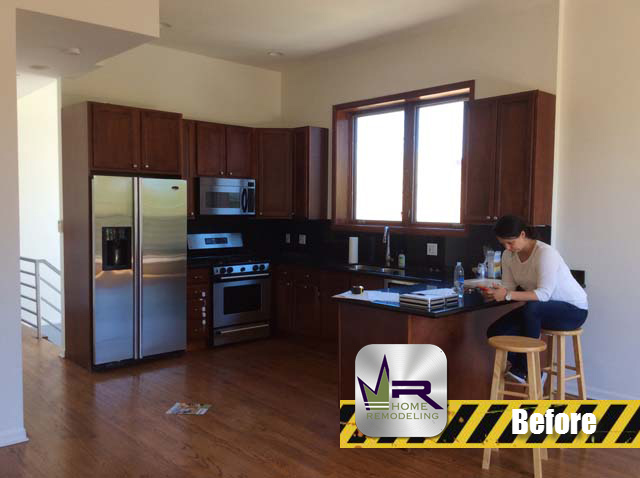 In order to give the customer exactly what they wanted, Regency would need to begin the renovation by completely gutting the kitchen from the cabinets, countertops and appliances, to plumbing, necessary electrical wiring, and fixtures. 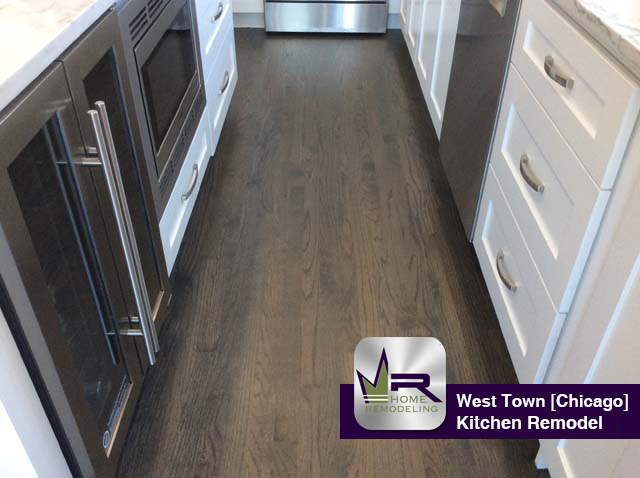 The work done to this kitchen by Regency Home Remodeling is impeccable. 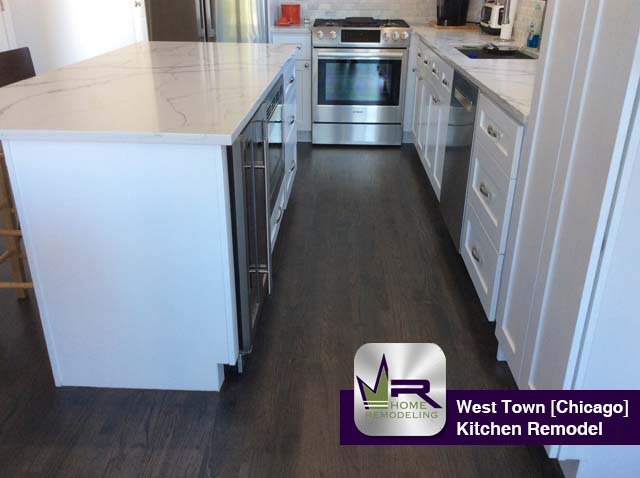 The most notable change is the creation of an island directly in the middle of the kitchen. 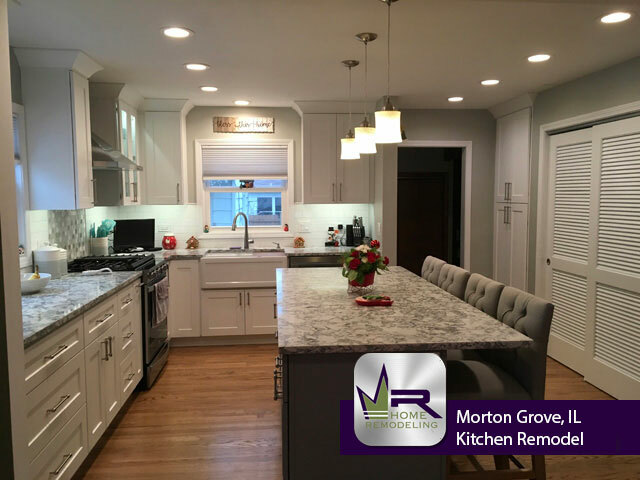 One of the main wishes of this renovation was to construct an additional amount of countertop space. 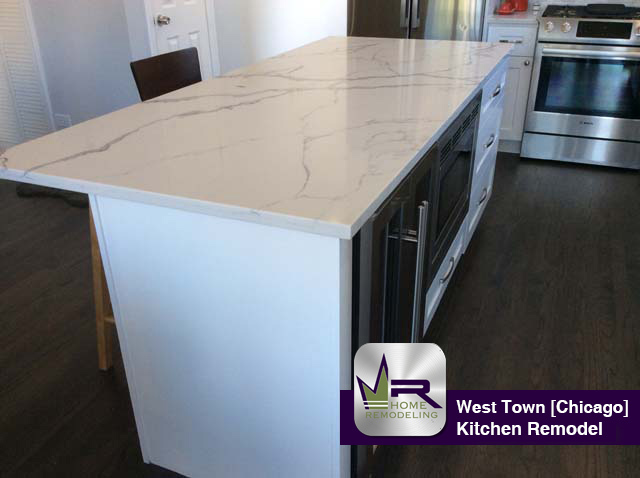 With the installation of the new island, our customer will not only have a vast amount of countertop area but much more cabinet space. 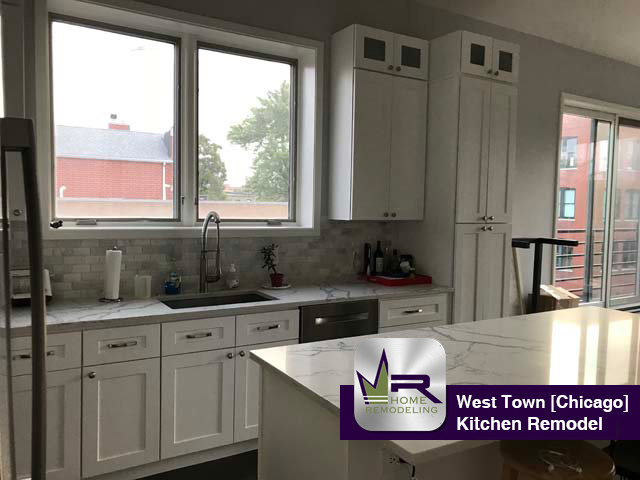 For the countertops, Regency installed White Statuary Quartz supplied by Daltile, a beautiful white marble that looks beautiful with the new White Shaker Style cabinets. 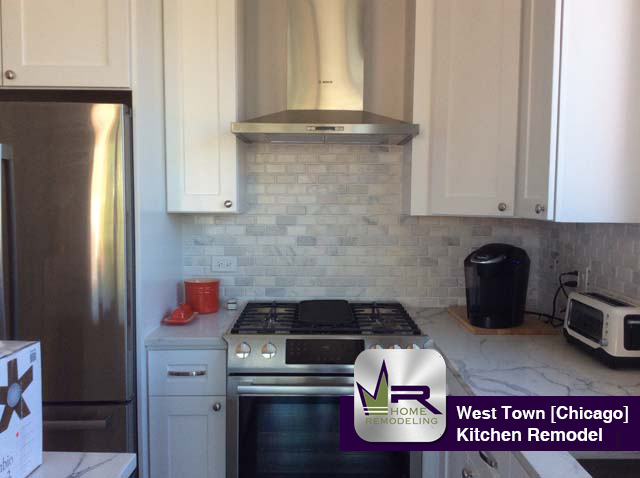 For a tasteful feel, Regency installed Arabescato Carrara tiling for the backsplash. 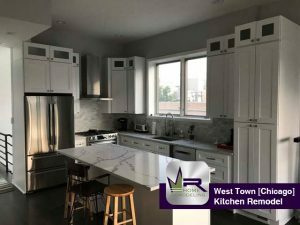 The new stainless steel appliances provide added luxury to the kitchen such as the Boscn oven, Kohler sink, and Grohe faucet. 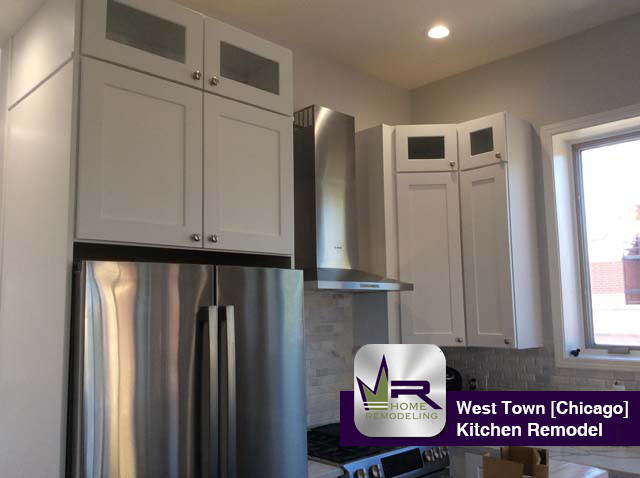 Overall, this kitchen renovation came out phenomenal and is much more efficient for everyday life. 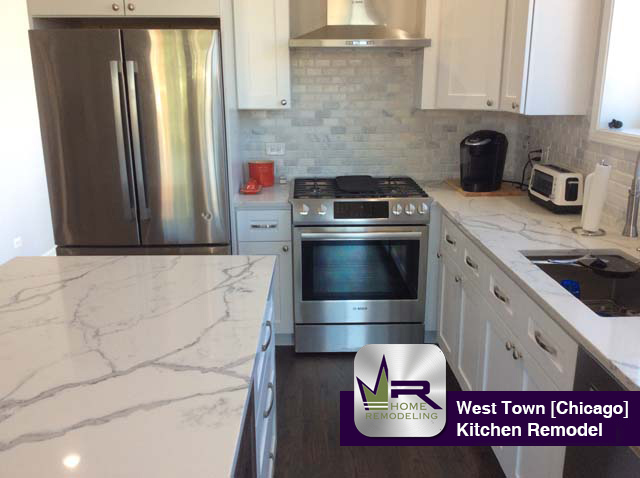 Our customer will enjoy preparing meals and entertaining friends and family in this gorgeous new kitchen. 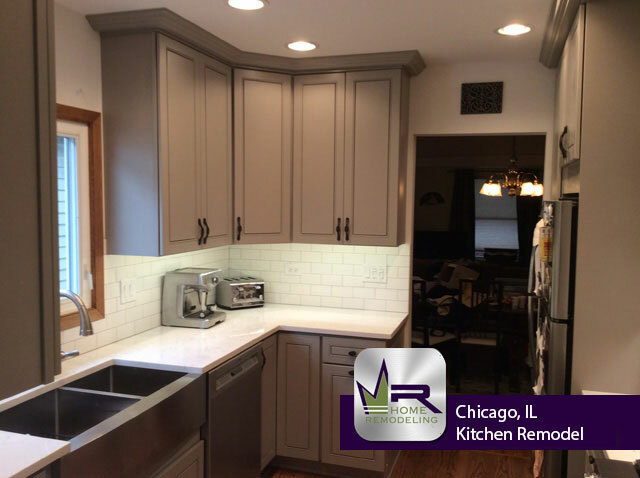 If you want a kitchen remodel in West Town (Chicago) call the experts in home improvement, Regency Home Remodeling, at 1 (773) 930-4465.